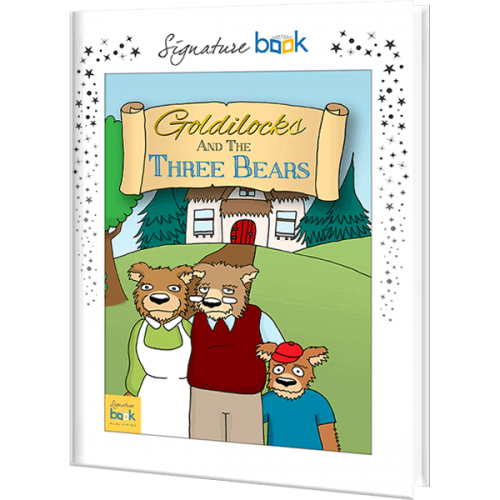 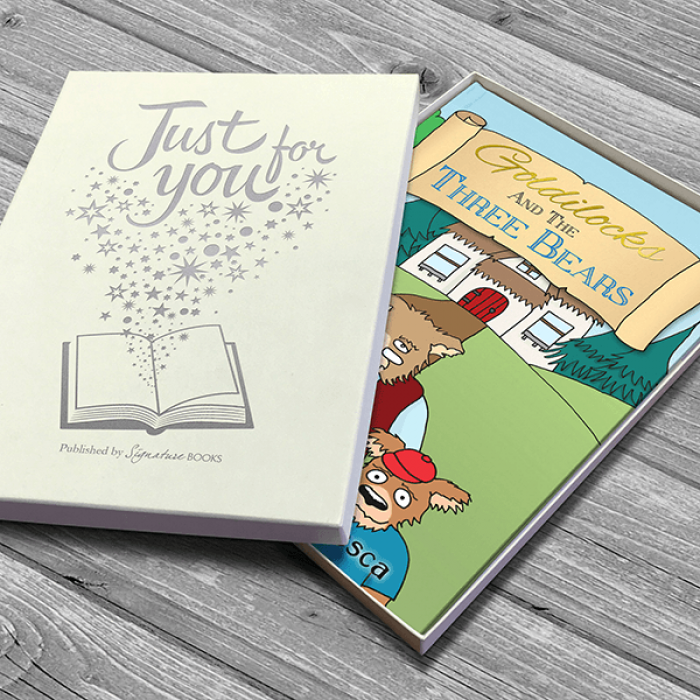 The traditional fairytale of Goldilocks and the Three Bears makes a wonderful book gift for a young child. 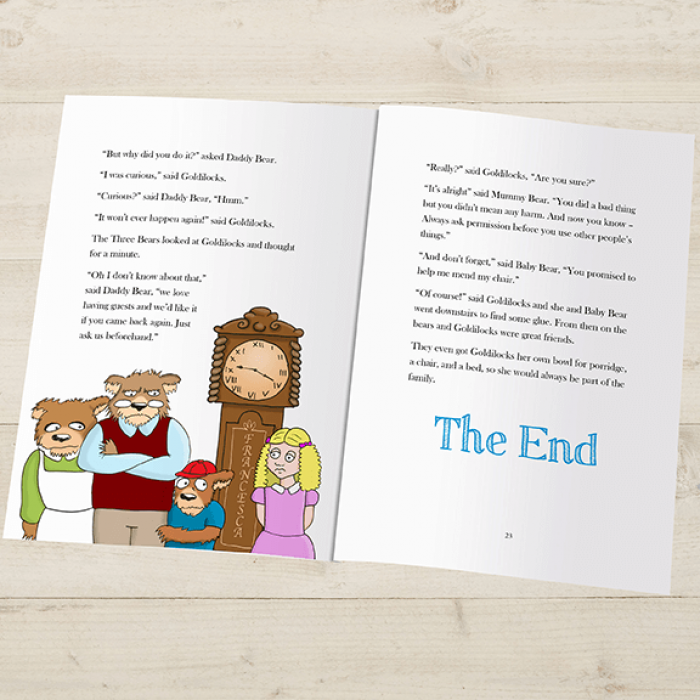 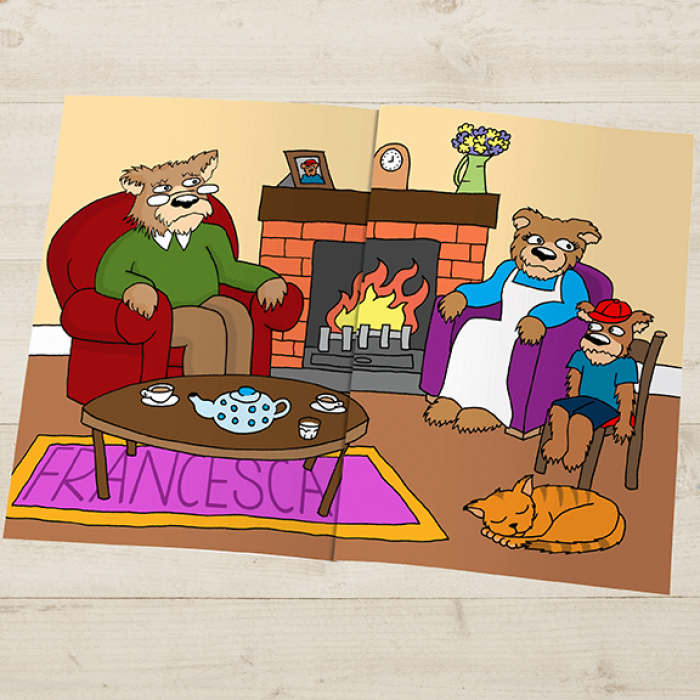 Though the story remains in its traditional form, your child's name is included within each unique illustration. 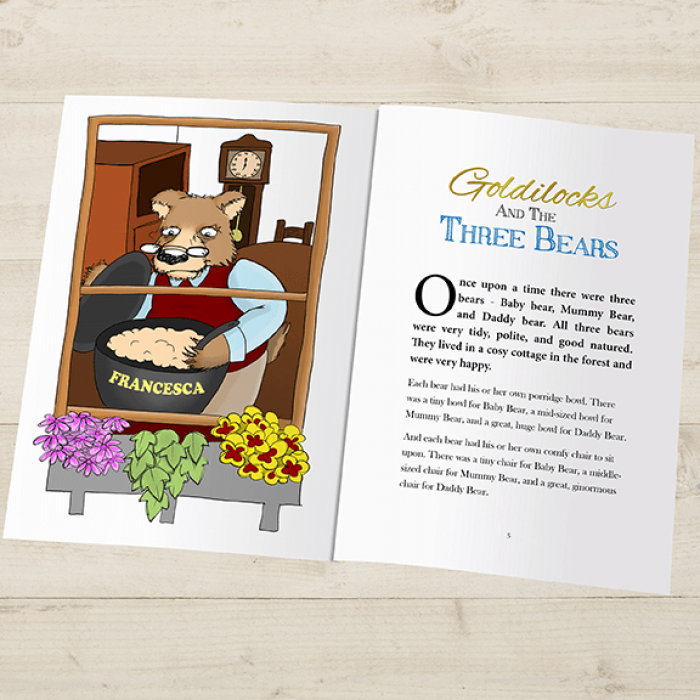 With modern illustrations throughout, this charming book makes a unique gift to be cherished long after the tale has been outgrown.